Hi! Hello to Today's Flowers members. How's your Halloween day, did you enjoy the trick and treat? Here's my contribution for this week, pink roses taken at my friend's garden. Most women love pink roses. We believe that different color of roses represent different feelings and emotions. A Pink rose expresses fun, gentleness, gratitude, elegance and happiness. 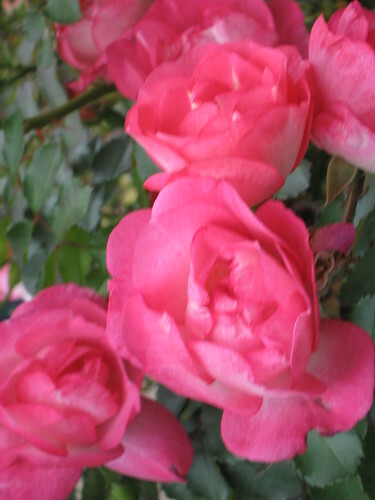 If you want to say thank your friends and family, pink roses is the best flower to give. It is also use for admiration and expression of sympathy. I hope you like it. By the way, my friend Ana shared about life insurance rates that she applied last week at wholesaleinsurance.net. It's the most affordable life insurance not only for my friend but for all the people who needs security in the future. To those interested, feel free to log on the site and read for more information. My deepest thanks to Luiz Santilli and Denise BC for hosting the site and make this meme a successful one. If you love to join guys, feel free to join and don't forget to add your URL in the auto link. See ya there!!! 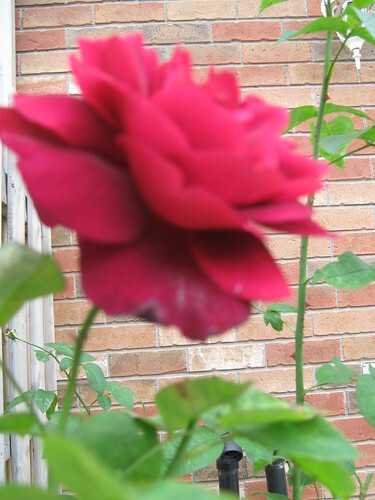 I love roses, but it look out of focus. I love roses also. They seem to be a little out of focus but I still like them. I love pink roses! These are so delicate looking. My compliments to your friend on her beautiful rose garden. Your friend has such beautiful roses. They are one of my favorite flowers. Thanks for sharing them. From friend to friend, you need to excercise when you take close up pictures. The roses are a little blurred. 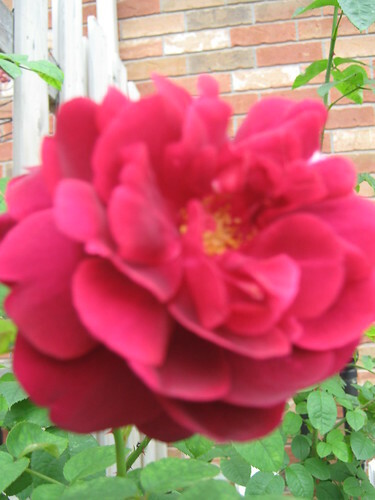 Very pretty rose, love the color. thanks for visiting my blog!! Delightful pink roses. The slight haziness makes the pictures intriguing. Thank you for stopping by. Thank you for telling the meaning of the colours of the roses. I only knew that red roses meant love. the lost shot is my favorite! I can feel like I can almost smell the aroma. Roses are a gift to the eyes, I appreciate your sharing and participation. I love your pink roses! The soft focus just makes them look more dreamy! Thanks for your visit to my Today's Flower! I am so sorry to be so late in visiting yours! It has been a hectic weekend with company who have just left today.